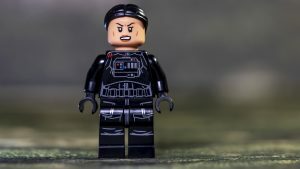 With a wealth of films, comic books, novels, animation and video games, the LEGO Group has an almost infinite well of source material to dip into for inspiration for each new Star Wars set. 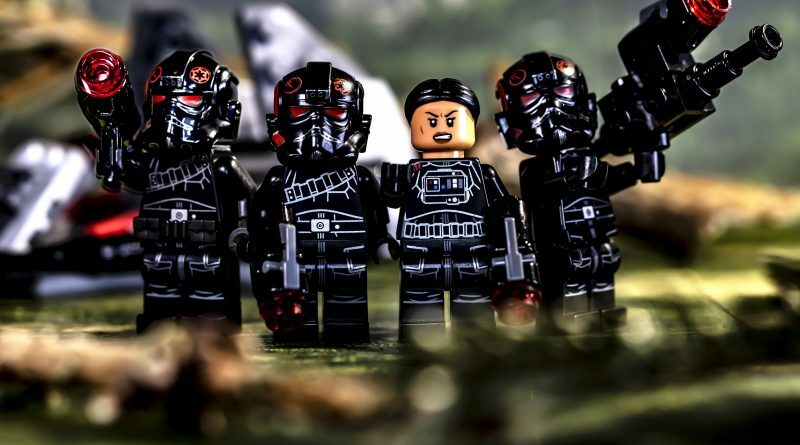 Continuing the Battlefront video game theme that started in 2016 with 75133 Rebel Alliance Battle Pack and 75134 Galactic Empire Battle Pack, this year’s 75226 Inferno Squad Battle Pack is based on the exploits of the Imperial special forces unit told within the story mode of Star Wars Battlefront II (2017). 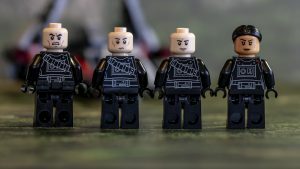 What is particularly interesting about this battle pack is that all four minifigures are unique. Commanding Officer Iden Versio has her own torso printing and a separate hair piece, which is in keeping with her in-game model. 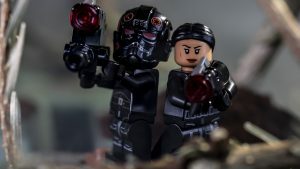 The other three Inferno Squad agents, although unnamed, surely represent Gideon Hask, Seyn Marana and Del Meeko. They all have the same torso and leg print but each has a unique face. One agent also comes with a utility belt, the same one that Luke wears in 75229 Death Star Escape (review), although here it’s black. The instruction manual suggests having only one squad member use the belt, but two are included within the set, giving fans the option to mix and match as they please. The helmet design is beautiful. There is something about the red and black that looks very sleek. The Inferno Squad insignia is really well printed and the red eyes look very menacing. 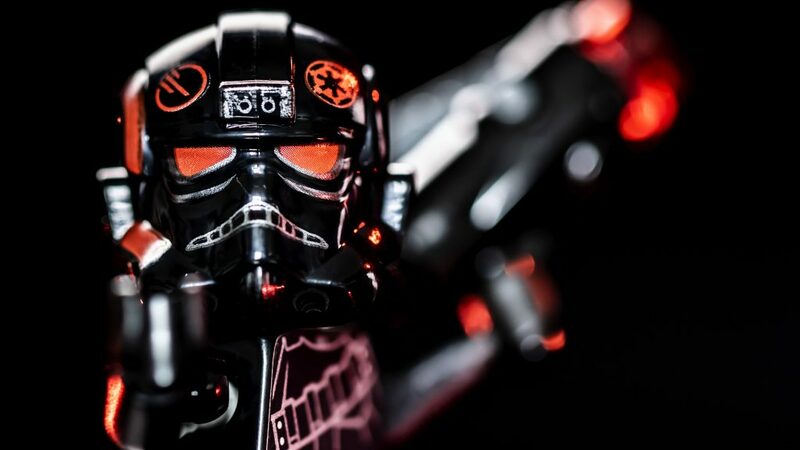 The printing on the legs and torsos is decent, but it is a shame that the designers didn’t include the Inferno Squad insignia on the arms as well as the helmet. 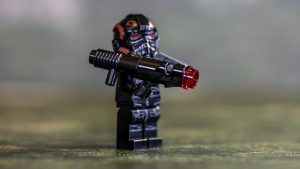 Each Inferno Squad agent comes armed with a stud shooter, which is to be expected. The model designers also included some extra specialist weaponry to match the elite status of this group. A brick built rocket launcher – which looks excellent with or without the stud shooter on top – and a smaller mortar/bazooka. 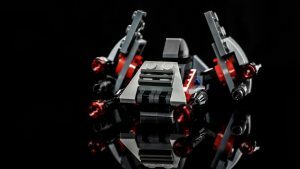 There are a few extra parts within the set that could be used to further customise the weaponry. 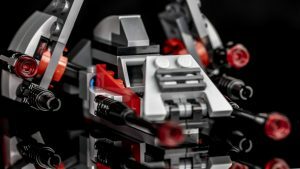 As with nearly all battle packs, the minifigures in 75226 Inferno Squad Battle Pack come with the obligatory speeder. 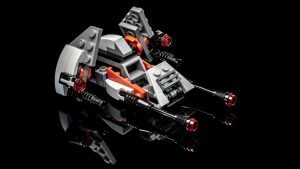 Although the design isn’t based on anything from Battlefront II, it does bear a slight resemblance to Inferno Squad’s ship, The Corvus. The colour scheme of red, black and grey is very much in keeping with Inferno Squad. It’s sleek, streamlined and has a number of guns (including two stud shooters) giving it a menacing appearance. 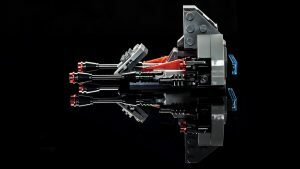 Although it is a small model the build is enjoyable and the overall design has an interesting mix of curves and angles. The one thing that feels missing is Iden’s ID10 droid companion, Dio. Her mechanical partner is such an instrumental part of her story, essential for completing numerous missions and challenges in the game, that it seems like quite an oversight. What is particularly odd is that 75225 Elite Praetorian Guard Battle Pack (review) comes with a brick built training droid similar to an ID10 unit, which was never seen on screen or associated with those characters. 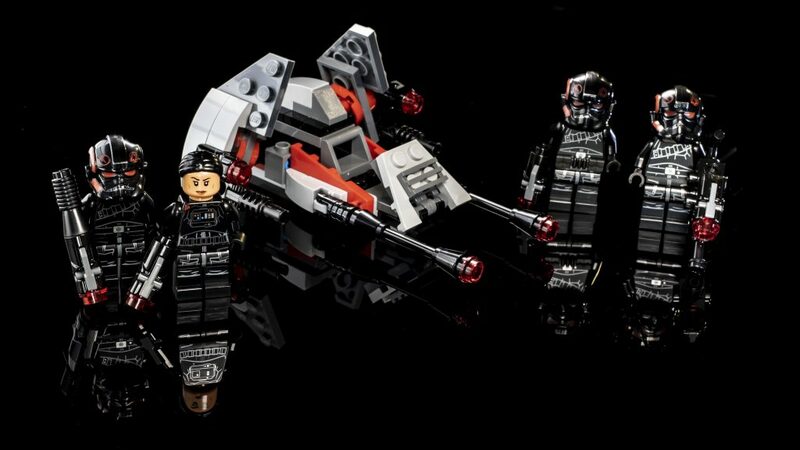 75226 Inferno Squad Battle Pack is available now at shop.LEGO.com. You can help support Brick Fanatics’ work by using our affiliate links.